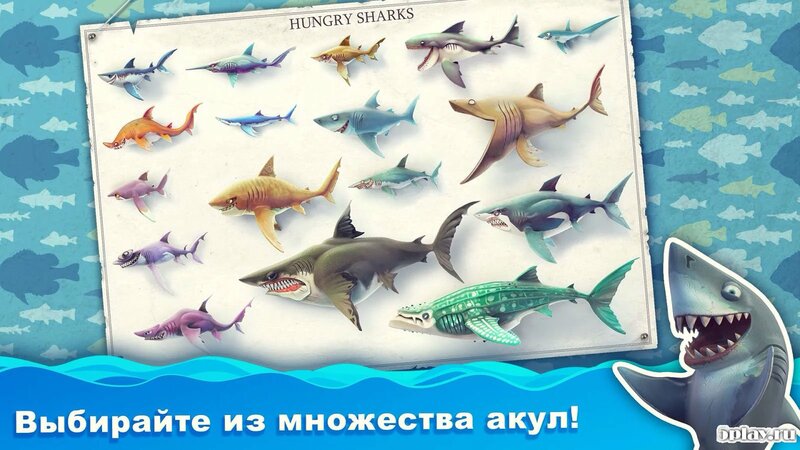 Hungry Shark World - shark simulator for android from the studio Ubisoft. This is a continuation of the popular franchise, for this gameplay does not shine with originality. The user needs to control the most genuine shark, which is incredibly hungry. To survive you need to eat, but do it requires very carefully. In the underwater kingdom where our main character lives, there are not only peaceful inhabitants, but also ferocious predators ready to devour the protagonist in an instant. Initially, the player gets a small shark, and in the process of eating all living things, it will grow and gain experience. 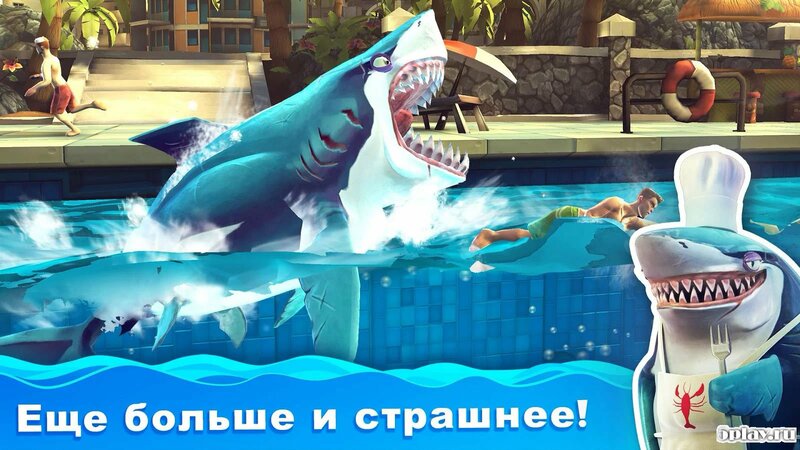 Shark skills can be pumped for in-game currency. Thanks to improvements, she gains more stamina, movement speed and bite strength. You should always be on the alert and try not to allow starvation, as the main character may die. If the energy is low, you should refrain from swimming in uncharted territory. Management in Hungry Shark World migrated from of the previous part, but a bit changed the location of the main elements. On the right is a virtual joystick that needs to send a shark in one direction or another. The left side of the screen is used to activate the acceleration, which is triggered by touch. The acceleration energy scale is at the top right. 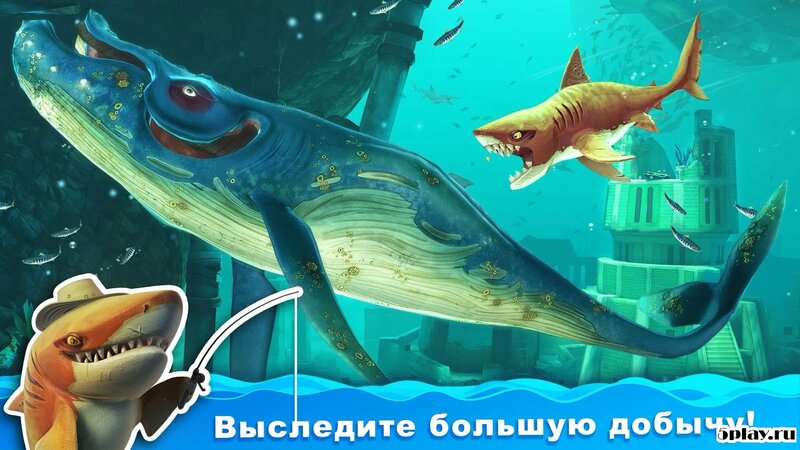 No matter how well the predator behaves, sooner or later he will belly up to the top, and at this point it is worth visiting the game store, in which you can not only pump your pet, but also buy a new, big and beautiful shark. Of course, this will have to dig a little money, but it is only a matter of time. In general, Hungry Shark World is an excellent example of how to really do a killer timekiller. 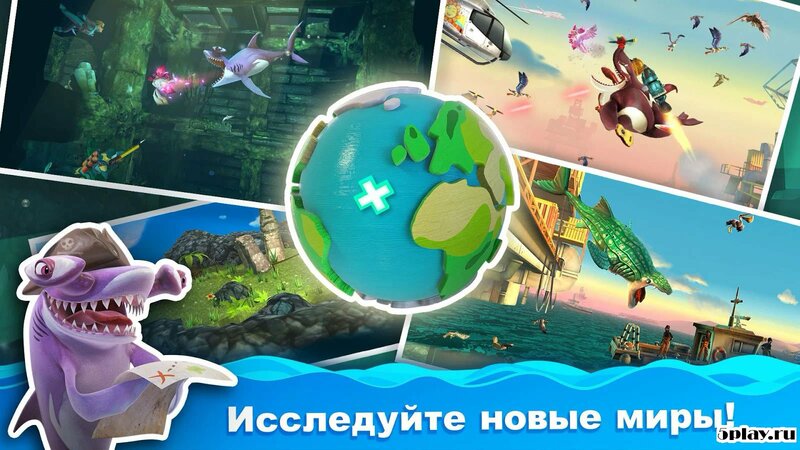 Excellent 3D graphics, simple and convenient control, as well as entertaining gameplay allow you to fully immerse yourself in the underwater world.